It’s official… the Boy Scouts no longer exist. Now, girls can join the Boy Scouts as Cub Scouts and achieve the rank of Eagle Scout. And vice versa… boys can join the Girl Scouts. What’s the point in having either one anymore? I sure wouldn’t let me kids join something like that. It was a dumb and suicidal move by the Boy Scouts. I always loved the group, but now I’m done with them. “We believe it is critical to evolve how our programs meet the needs of families interested in positive and lifelong experiences for their children,” said Michael Surbaugh, chief executive of the Boy Scouts. You’ve evolved alright… right out of parental selection. This is what happens when Marxists and other leftists infiltrate these groups. They destroy them. The scouting board of directors voted unanimously to make the historic change in an organization that has been for boys since its founding more than 100 years ago. Local scouting organizations can choose to have dens for girls and dens for boys. “Cub Scout dens will be single-gender — all boys or all girls,” the organization said in a statement. That makes no difference to me or to many other parents. Obviously, the Boy Scouts don’t have a spine anymore and have caved to the gender fluid crowd. Those aren’t values I want taught to my children or grandchildren. 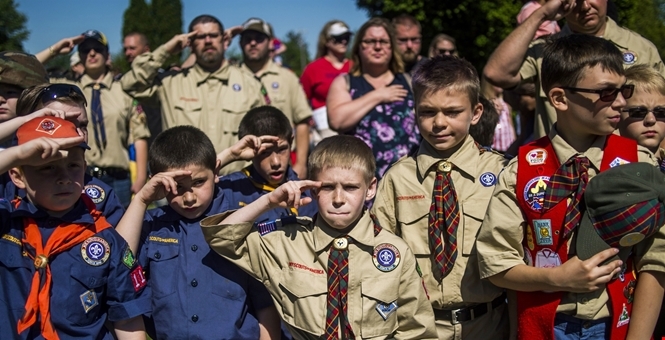 BSA said it commissioned two nationwide surveys that showed parents not involved in scouting had a high interest in getting their daughters signed up for both Cub Scouts and Boy Scouts. I simply don’t believe that. Maybe parents in liberal California, New York or Oregon, but not in mainstream America. Girls are now part of four scouting programs — Venturing and Sea Scouting, geared toward outdoor activities; Exploring, a career-oriented mentoring program; and STEM, focusing on science and math. But those programs have not offered a path to Eagle Scout for girls. A program for that is coming. Earlier this year, the National Organization for Women urged the Boy Scouts to admit girls to the entire program, supporting the efforts of a New York teenager, Sydney Ireland, to attain the rank of Eagle Scout, as her older brother did. The Boy Scouts should change their name. And I won’t even joke on that one, because this just ticks me off. And I’m not the only one. Dana Loesch tweeted that the Boy Scouts just made the Girl Scouts irrelevant and that is exactly right. Leftists are trying to do away with discernible genders and separate sexes and they are making great headway. 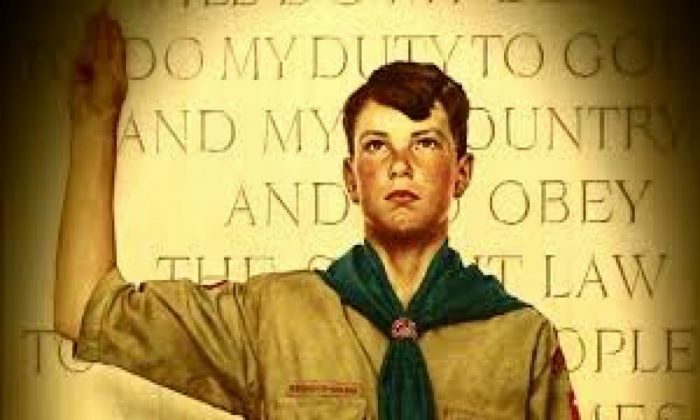 The Boy Scouts were meant to teach boys how to become men. That will not happen anymore. But hey, there’s always the communist badge.